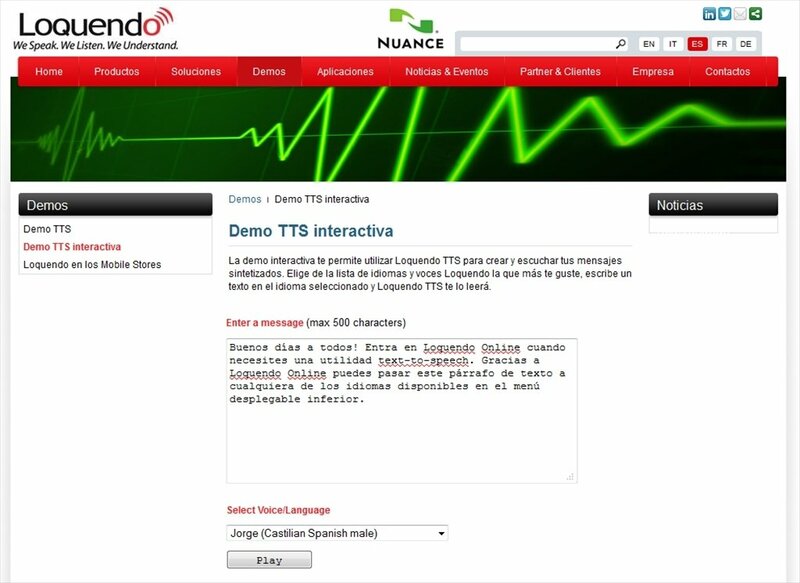 Loquendo Online is a text to voice converter and translator that works online. You should write the message that you want and select one of the voices available to read it out. Convert text to speech automatically. Messages with up to 500 characters. Compatible with various languages: English, Italian, Spanish, Arabic, Dutch, Danish, Finnish, French, German, Norwegian, Polish, Portuguese, Greek, etc. Select the voice that you like most. Play or download the narration on your PC. Create and listen to synthesized messages. Do you need to create and send a voice message in a language you don't dominate? Transform written messages into voice messages! 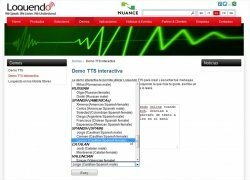 Loquendo Online and its Interactive TTS system is the solution you were looking for, an easy-to.use and very efficient online text-to-speech system.